Are you looking to buy a home this season? Or maybe it's time to move grandma out to assisted living? 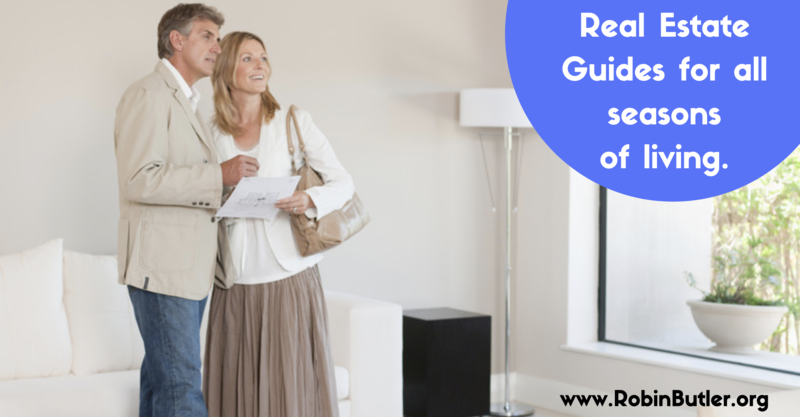 Here are some links to my latest real estate guides to help in making your upcoming home decisions. If you have any questions on home buying/selling or real estate, feel free to contact me. I'm happy to be your friend in the real estate business. Spring is finally here! I don’t know about you, but I love the change of the season. The season’s not the only thing changing according to the RE/MAX National Housing Report. Here are three things to take away from last month’s report. 1. Home sales were down for the seventh consecutive month. They were down 4.2% from February 2018. 2. Inventory grew for the fifth month in a row. It was up 5.8% year over year. The median sales price also grew by 5.5% to $240,000. 3. All signs are pointing to the market slowly balancing as it transitions from a seller’s market to a buyer’s market. However, with home sale prices on the rise, pricing is still in the seller's favor. It’s going to be a busy spring! If you’re thinking about buying or selling, let’s get started. Give me a call, send me a text, or reply to this email to set up a meeting to talk about your situation. Thank you for trusting me as your local real estate expert! Your friend in real estate. As you come out of hibernation from our Northern Virginia winter and start touring open houses, here is some advice you may not have had to consider for your last home purchase...keep your excitement level to yourself. As more homes are being built, and upgraded, to be Wi-Fi enabled, they are being equipped with surveillance devices. And while the initial intent of these is for security purposes more home sellers are taking advantage of the devices to ‘spy’ on their potential buyers. 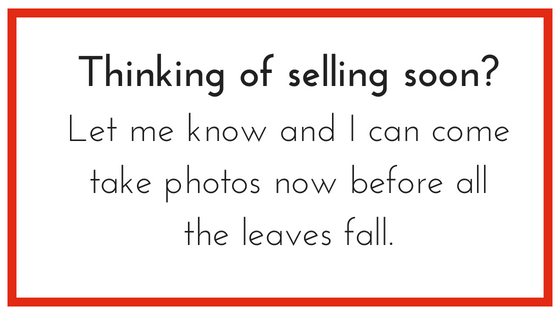 This is not a completely new strategy, though in the past sellers were limited to a single nanny-cam perched on a shelf. Now with the prevalence of smart devices a single home can have multiple recording devices throughout the house, inside and out. It is estimated that 11 million homes are currently wi-fi enabled, internally or externally, and by 2020 that number is expected to grow to 50 million. The legality of this practice varies by state, so not everyone would record their showings, but in a Harris poll conducted for NerdWallet last year 15% of home sellers admitted to recording their open houses. And 67% said they would record if their homes were equipped with recording devices. Why should you worry about being recorded? Many people find the practice disturbing, or creepy, but don’t understand how being recorded can play against their interest. And while that may have once been the case, with most recording being done to help sell a struggling property, it has morphed into a powerful bargaining tool. Sellers can watch their recordings and if they see your excitement level they can use that against you with any counter offers. Or, they can view the overall excitement for the home and use that in a bidding war. When viewing a home it is best to keep your discussions to a minimum until you are away from the property, and prying ears. It’s also a good idea to keep discussions from prying eyes by limiting posting about properties on your social media accounts. Social media has become a great tool in helping to sell your home, but it can also be used against you when buying a home. Facebook, Twitter, Instagram...so many ways to share with your friends about the awesome new house you’re falling in love with, there is nothing to stop the seller from looking at your public posts to find out just how interested you really are. Why would they accept a lower offer if they can clearly see you may pay more. House hunting should be fun and exciting, so don’t get discouraged or nervous about sharing that excitement. Just be cautious about how and where you share. The old adage of buyer beware still exists but buyers should also be aware of just who may be listening in when you rave about how much you love a home. Once the home is yours you can yell it from the rooftops, but until the ink is dry shhhh. Robin Butler, Your friend in the real estate business. Get a pre-approval on a loan first. If you start your home buying process by getting pre-approved on a loan, that will make the buying decision so much easier. This way, you will know what you can actually afford to buy. You won’t have to worry about falling in love with a house that is out of your budget, and you’ll know that you will be able to pay for the house you choose. Make sure this is the home you REALLY want before you bid on it. Making a hasty decision just because you’re told a deal is going away soon isn’t a great way to purchase your home. Take whatever time you need to be confident that you’re making the best decision for you. Running away from your realtor won’t help. If they send you emails and try to call you, please respond. Ghosting your realtor will not fix the situation. Their job is to be in contact with you throughout this process. Avoiding them will make that more difficult, but it won’t stop them. If your offer is accepted, the home is yours. If your offer has been accepted, that home is legally yours. If you have a worry, have a real, honest conversation with your realtor about what your fear is. I can (almost) guarantee it is something that I, or your realtor, have heard before and can help alleviate your concern. Many times, a realtor can help you solve the problem instead of giving up the home. You might be overthinking something that has a fairly simple solution. Home buyer’s remorse is more common than people like to expect or admit. Let me help you through your Northern Virginia home buying journey, so I can do everything I can to help you avoid that feeling. These four tips are a great way to start, but there are always more tactics to bypass buyer’s remorse. If you have questions, or if you’re on the brink of remorse yourself, give me a call today. I’d love to help you work through your questions and concerns. Well, everyone, December is upon us and that means it’s time for the holidays! Hanukkah began on December 2nd, and Christmas will be here before we know it. One of the best parts of the holiday season is that there are so many fun events happening around town. I’ve put together a list of some here, but of course, there are many other events not listed here. See the Winter Walk of Lights 5:30 to 10 p.m. every evening from now until January 6 - yes, even Christmas and New Year’s Eve! The Botanical Garden is transformed into a half-mile walk of lights featuring sites like the Fountain of Lights and Lakeside Lights. For more information or to get tickets, visit https://www.novaparks.com/events/winter-walk-of-lights. Drive through the beautiful 2.5-mile festival route and see the beautiful lights. Then visit the holiday village for refreshments, rides and a chance to meet Santa! The Bull Run Festival of Lights is going on now until January 6. For more information, operating times and to get tickets, visit https://www.novaparks.com/events/bull-run-festival-of-lights. The ice skating rink is open from now until the middle of March! Stop by, rent one of their 500+ pairs of skates and enjoy the seasonal fun! For kids who might be new to skating, the skate shop has double bladed, flat edge skates to help young skaters get a feel for the ice. All skaters can choose between figure- and hockey-style skates. For more information and to learn about special themed nights, visit https://restontowncenter.com/amenities/ice-skating/. Visit the Prince William Ice Center on Sunday, December 16 at 1 p.m. for their annual Holiday Ice Show! The show features solo skaters and synchronized teams. The event also offers cookie sales, raffle baskets, and silent auctions, so it’s sure to be a fun event for the whole family. Bundle up! Admission is $5 or a non-perishable food donation for the food pantry. For more information visit https://www.pwice.com/page/show/329750-competitions-ice-shows. Check out the Spectacular Musical Tree Show at the Village at Leesburg any day until January 1. The 5-story tree performs music and light shows every day on the hour from noon until 9 p.m. For more information, visit https://villageatleesburg.com/event/spectacular-musical-tree-shows-3/2018-11-18/. For a different holiday experience, consider visiting Rippon Lodge’s Holidays Through the Ages. Learn about seasonal festivities from different time periods as well as different religions. Light refreshments and shopping close out this holiday experience. Visit http://www.pwcgov.org/government/dept/publicworks/hp/Pages/default.aspx for more information. 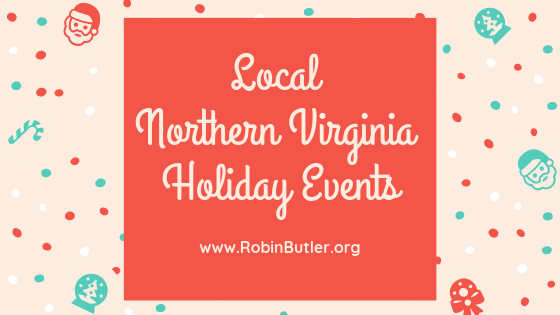 Did I miss your favorite local holiday event? Tell me in the comments below. And let me know if you make it to any of these! I would love to hear about your experience. Happy holidays! Serious buyers have few houses to choose from during the holidays, and less competition means more money for you! Houses show better when decorated for the holidays. You can sell now for more money. We can certainly provide an option for a delayed closing or extended occupancy until early next year. Buyers are more emotional during the holidays, so they are more likely to pay your offering price. Buyers have more time to look for a home during the holidays than they do during the work week. January is traditionally the month for employees to begin new jobs. Since transfers can't wait until spring to buy, your house must be on the market now! Your house can still be on the market, but you'll have the flexibility to limit showings during the six or seven days during the holidays. If you’re ready to take the plunge and start preparing for your NEW dream home, text me or give me a call and let’s talk about it. What do you do about pet odor? We all know you love your pets. I love my Daisy and Baxter with all my heart. But, your buyer doesn't have a clue how wonderful your pet is. A problem that always arises in selling a home is the potential for what your pet is leaving behind. It's imperative to conquer pet odors before they kill your sale. 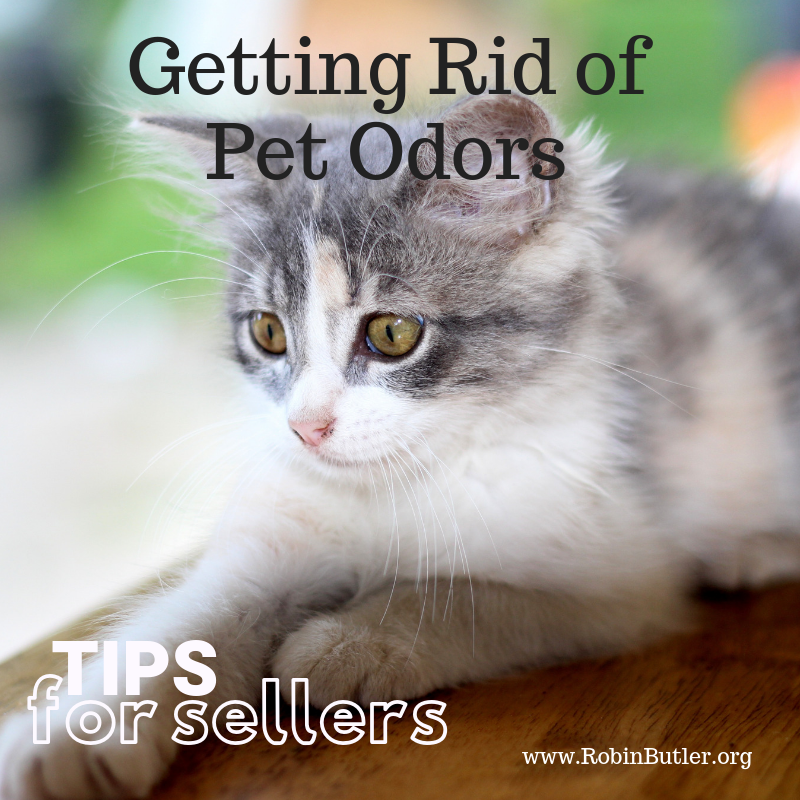 Here are some ways to get rid of pet odors and a video on an experience I recently had with a buyer. Have you had a "pet odor" experience? Feel free to share in the comments below. If you need help with one, feel free to reach out. And, as always, if you need help buying or selling a Northern Virginia home, give me a call. I really don’t think it can get much more beautiful than Fall in Northern Virginia. With that little bit of a crisp edge to the air and all the amazing colors that Mother Nature provides, it’s hard to find a more gorgeous setting for bonfires and Trick or Treat. Fall is also a time for some really fun festivals and events around the area. We’re going to share some of those here. Here are 3 blogs that list some of the best festivals around. Kid Friendly DC has a fabulous line up of some of the best family-friendly activities you can find. FXVA the Fairfax County, Virginia authority lists a whole host of seasonal fun for you to check out. Trip Savvy’s Virginia Guide also lists some great fall events to check out. 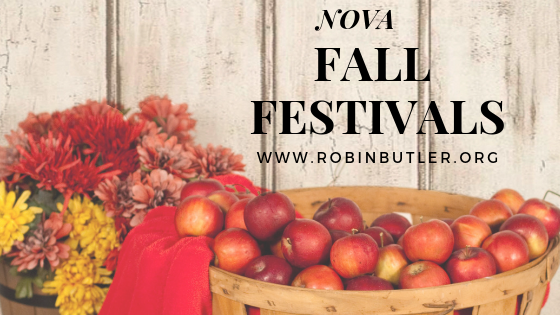 Here are a few of my favorite things to do during Fall in NOVA. City of Fairfax Fall Festival Make sure you don’t miss the Lumberjack Show. Of course, picking apples (and enjoying a homemade apple pie) and drinking hard cider are complete requirements when living in Northern Virginia. The Glow: A Jack O’Lantern Experience- It’s a Halloween wonderland of over 5,000 hand carved, illuminated pumpkins. What are your favorite fall happenings? Be sure to share in the comments below. As fun as fall is for play around town, it’s also a great time to sell or buy a home. Many people want to get into a new place by the holidays and this time of year is fabulous for doing outdoor photos. If you are looking to buy or sell now (or maybe in the winter and want photos done now) feel free to contact me. I’d be happy to help you out. We are well into 2018 and seeing the trends in decorating our homes for the year. With fall just around the corner, are you considering making some changes around your Northern Virginia home? Perhaps you’re planning to purchase a new couch, add some accessories, or even remodel a room before the Halloween candy and pumpkin pies make their appearances in your home! Well, there are some interesting materials that many are incorporating into their interior designs this year, and you may enjoy checking into how you could work them into your plans. If you are thinking about relaxing on some new furniture, consider the soft, plush feel of velvet. The rich colors and luxurious feel of this material are attracting a great deal of attention in 2018. A new sofa could be an elegant addition to your living room, or maybe you would even like to add an accent piece. This year, mustard yellow is popular for adding a little splash as an accent color. Natural elements are also trending as consumers are bringing some of the outdoors inside. The natural fibers of rattan and raffia are choices for both indoor and outdoor seating as well as storage pieces or accessories. Also, dark woods are a current choice for furniture throughout the home, providing a luxurious atmosphere, replacing the bleached furniture that has been popular in the past. Are some kitchen or bathroom updates in your plans? Natural stone is popular in kitchen sinks for an easy-to-clean and built-to-last structure. Marble has become an often-selected material for countertops, tabletops, tiles, and accent pieces. And if you are considering a new countertop, think about the popular and durable “terrazzo,” a composite material that is available in an endless array of colors! Another way people are bringing the outdoors inside is through concrete. This industrial material is not just for your driveway anymore! While it is being poured for patios and firepits outside the home, it is coming inside to create fireplaces, tops of end tables and coffee tables, and accent pieces such as lamps. So, if you are looking for a strong material that is built to last, concrete could be the choice for you! While you may already be thinking about your autumn decorations and the best spots to place your pumpkins, it’s not too late to consider making some changes around your home to catch on to some of this year’s popular trends. 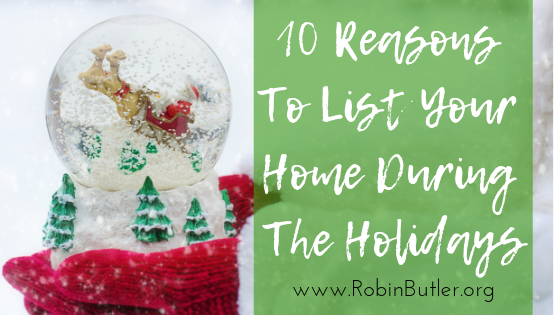 So, grab that pumpkin latte and research your next home accessory or improvement project! 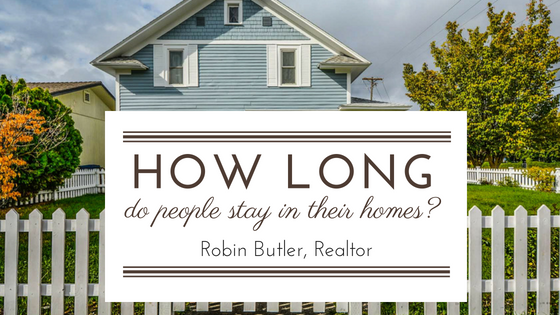 I often get asked by my Northern Virginia homeowners how long people typically live in their homes. For the majority of the last 25 years, most families stayed in their home an average of 6 years before moving. The reasons can go on and on. In general, as things change, people’s housing needs tend to change as well. But, according to the National Association of Realtors, over the last several years, we have seen that average jump to 10 years. That’s a pretty drastic increase of almost 50%. During the fairly recent economic recession, not only did many people lose their jobs but their homes were in a negative equity position because of falling home prices. This forced many people into a position of not being able to sell their homes due to the fact that they would need to bring money to the closing table that they did not have. In an interesting twist, it was also discovered that while many people were NOT moving as often, the millennials were still moving every 6 years due to needing more space as their families grew. People still want [and need] to move and the demand for great homes is there. But, the lack of inventory is a deterrent to those people being able to move. This all means that NOW IS THE TIME TO SELL. With the demand out there, that is only driving the prices of homes further up meaning that this is truly a seller’s market. If you’ve been thinking of making a move, give me a call and let’s talk about it.